A new school building was proposed to be constructed on the existing playing fields while keeping the existing school operational, with new outdoor facilities proposed to be partly located on the site of the existing building. 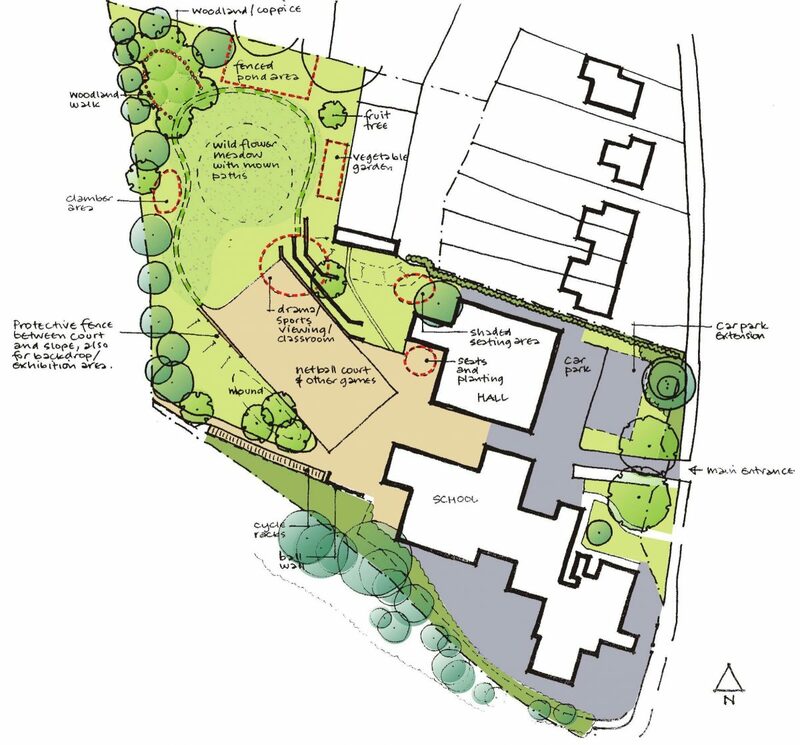 Additional challenges arose from the very limited size of the site, with a steep slope running diagonally across it and building constraints arising from mature trees on all boundaries. We led the design team in addressing levels, layout and site use issues to prepare a scheme masterplan that included a multi-use hard games court, sports pitch with pavilion, nature area, outdoor classrooms and other learning opportunities. The landscape design aimed to take advantage of the site level changes by providing terraced areas and create an imaginative and stimulating outdoor learning and play experience. We were subsequently novated to the main Design and Build contractor to produce landscape construction details and specifications. The school was designed to BREEAM ‘Very Good’ standard.